Aa-gb is ranked > 3,000,000 in the United States. Topics: Newcomers' Website, Eastern Region, London Region (north), Midlands Region, North East Region, and North West Region. It has 5 nameservers, including dns3.registrar-servers.com, dns4.registrar-servers.com, and dns5.registrar-servers.com. It is hosted by Ionet Inc (District Of Columbia, Washington,) using Apache/2 web server. 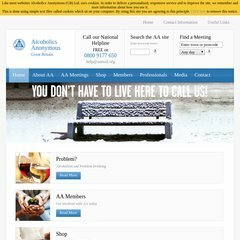 Aa-gb.org's IP address is 38.101.213.235.